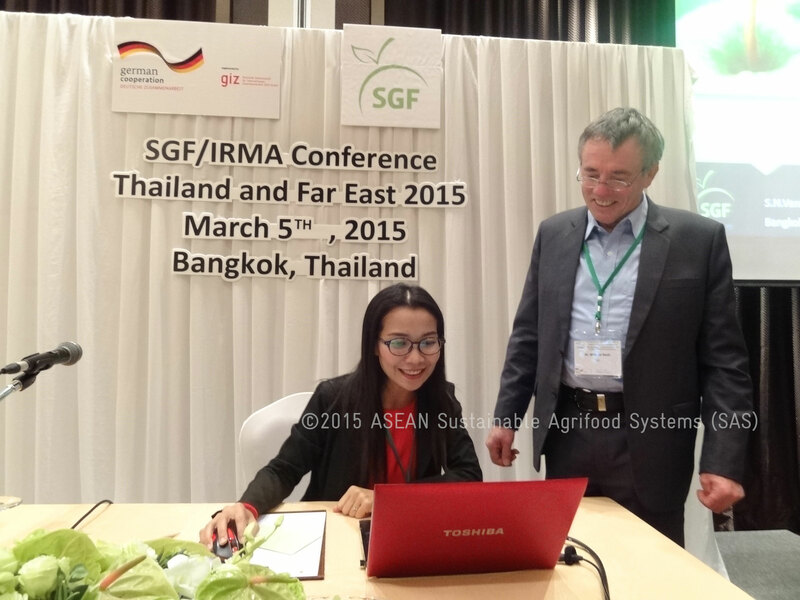 Partnership: SGF International e. V.
SGF is the self-control association for fruit juice safety and quality assurance based in Germany. 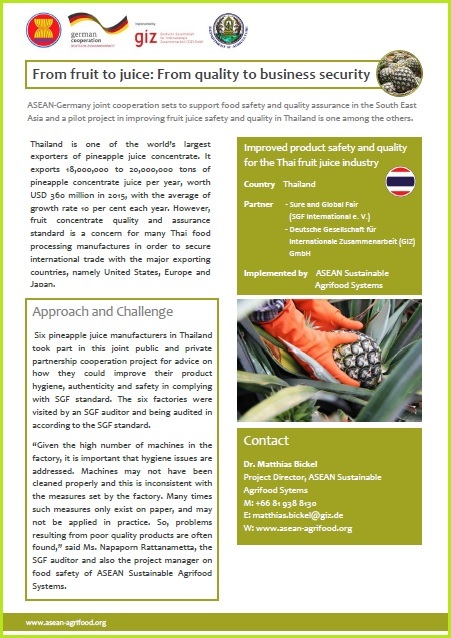 Objective: Thailand’s fruit juice factories improve their products’ safety and quality standard in accordance with national regulations and internationally recognized standards. 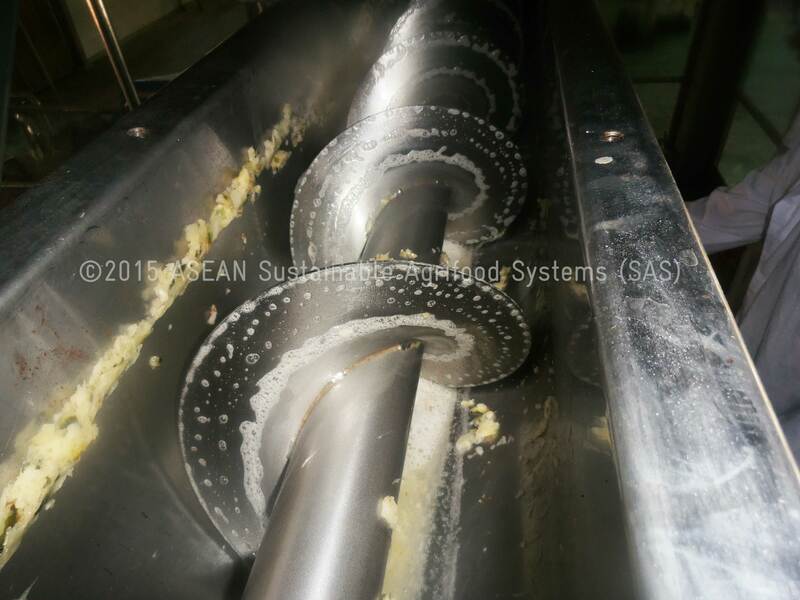 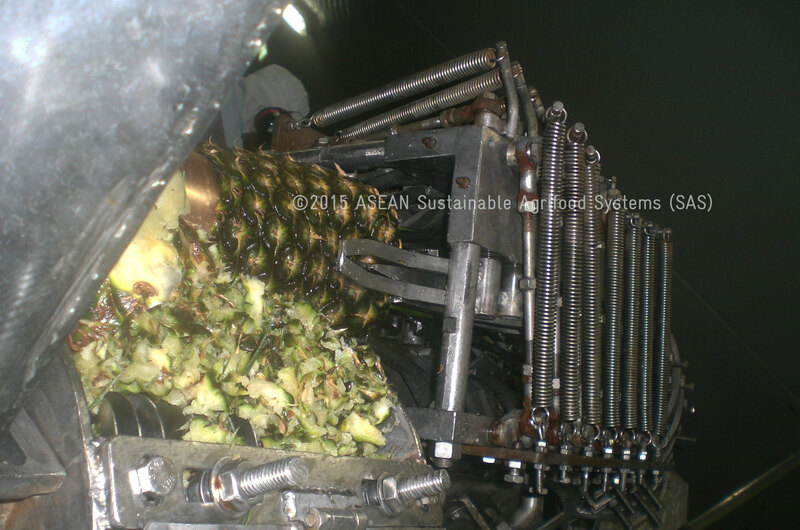 Six piloted fruit juice factories improved their product’s safety and quality standard. 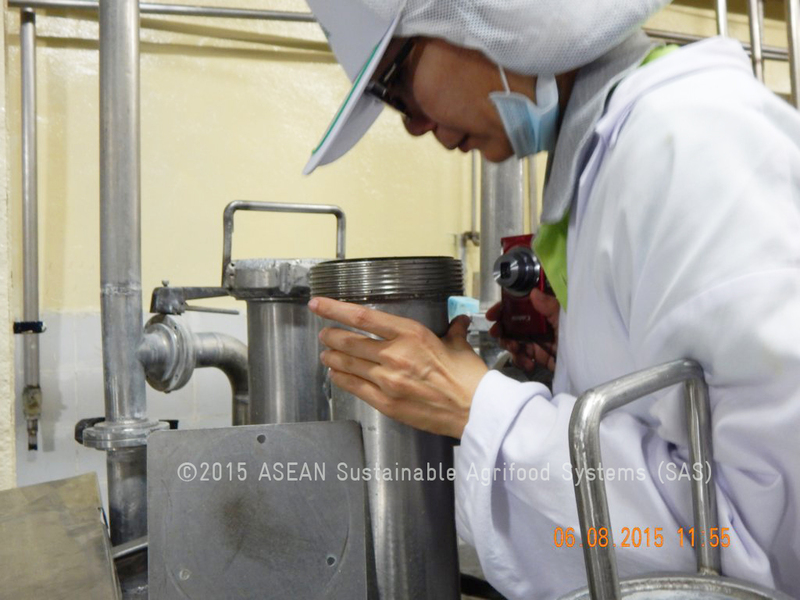 The participating factories were observed, given advice, monitored, and audited on their product hygiene, authenticity and safety in complying with Sure Global Fair (SGF)’s standard. 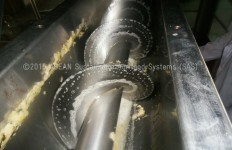 SGF is the self-control association for fruit juice safety and quality assurance based in Germany. 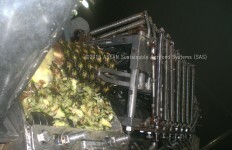 The pilot factories were mostly pineapple juice manufacturers. 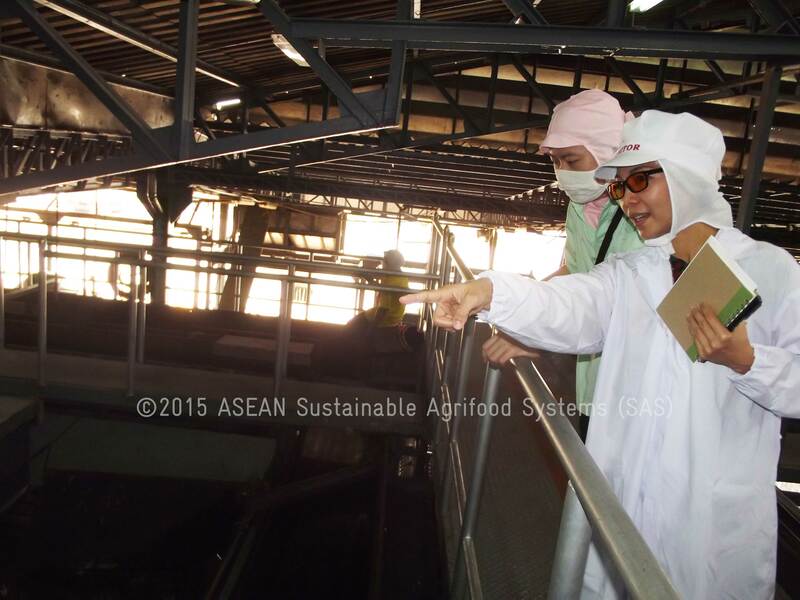 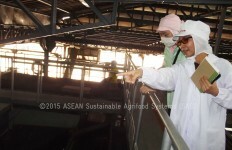 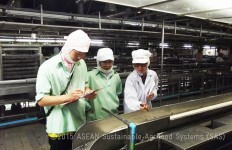 Food Safety Project Manager of ASEAN Sustainable Agrifood Systems was trained and certified as the SGF auditor. 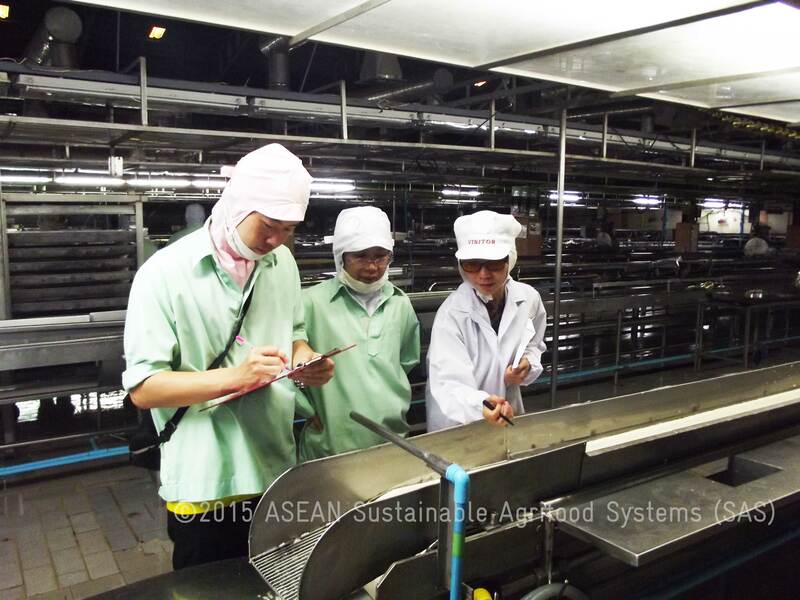 Ms. Napaporn Rattanametta received training on a job and became the sole SGF auditor of Thailand and ASEAN Member States being in capable of giving capacity development training, advice and organizing study trips to concerned factories in reaching European’s safety and quality standard. 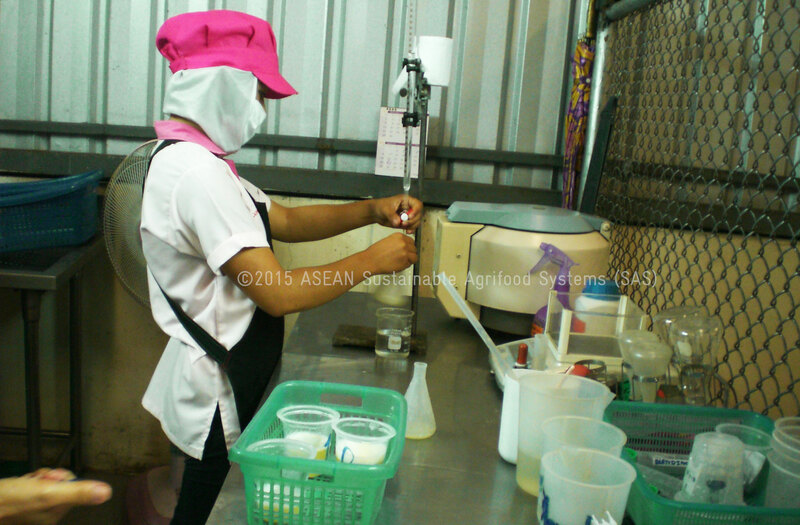 Four major laboratories in Thailand knew about their lab analysis standard level in comparison with international standard. 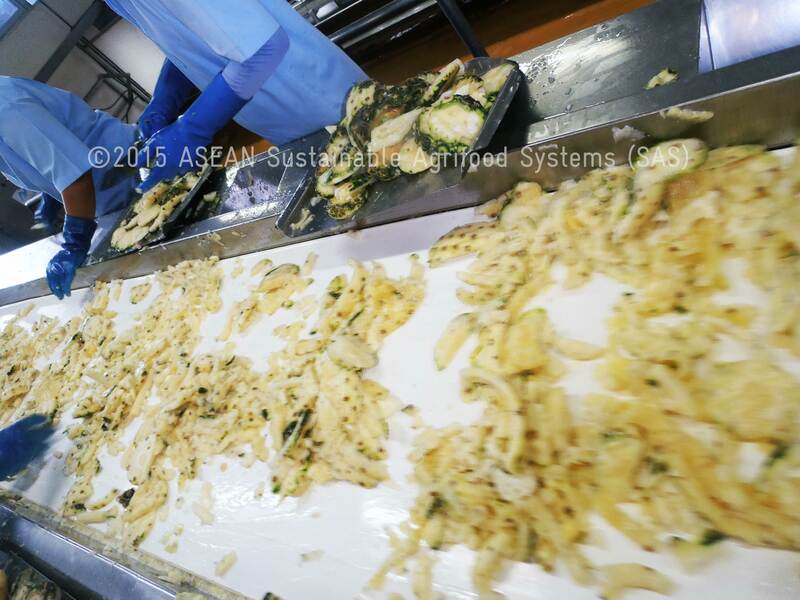 These local laboratories are the biggest laboratories which cover 70 per cent of the laboratory activities in the country. 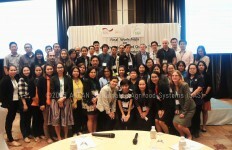 They participated in the international inter-comparison for fruit juice analyses in measuring their lab analyse and reliability in accordance to international standard testing analyses. 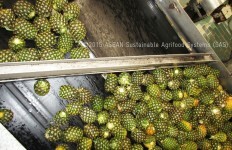 Two market surveys on Thai fruit juice safety and authenticity were conducted. 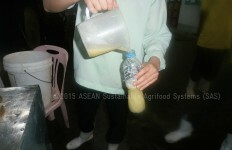 Fruit juice samples were taken from local supermarkets. 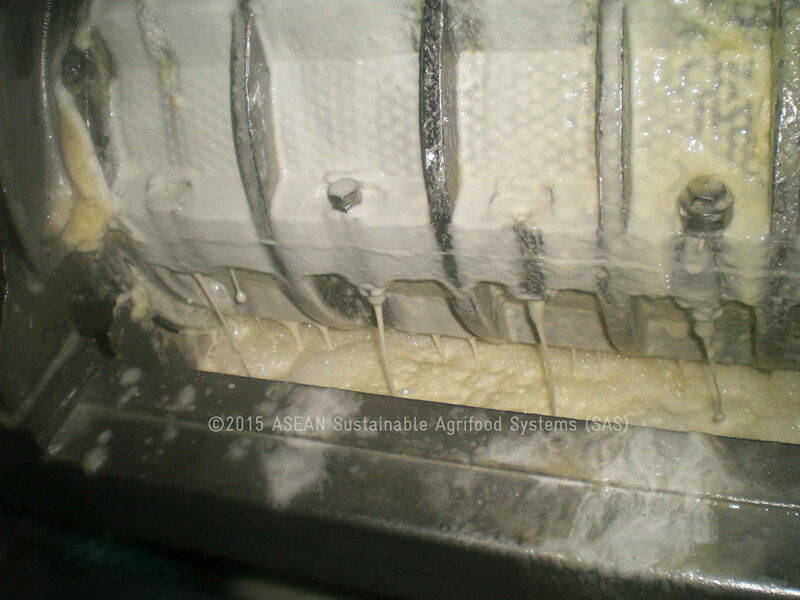 The first survey focusing on food safety demonstrated no chemical risk residues, for example, pesticides, heavy metals and mycotoxins in the samples. 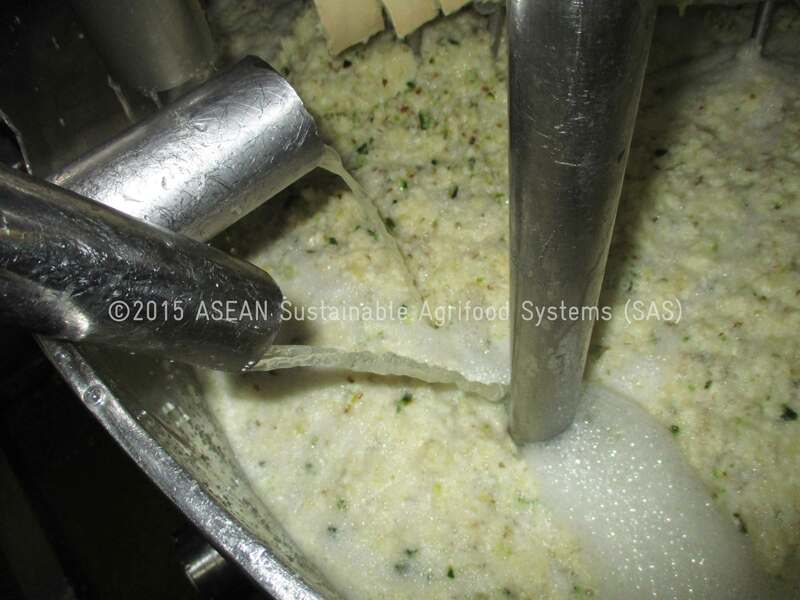 The second survey focusing on fruit juice authenticity found that some products did not meet the expectation of the declared fruit juice content. 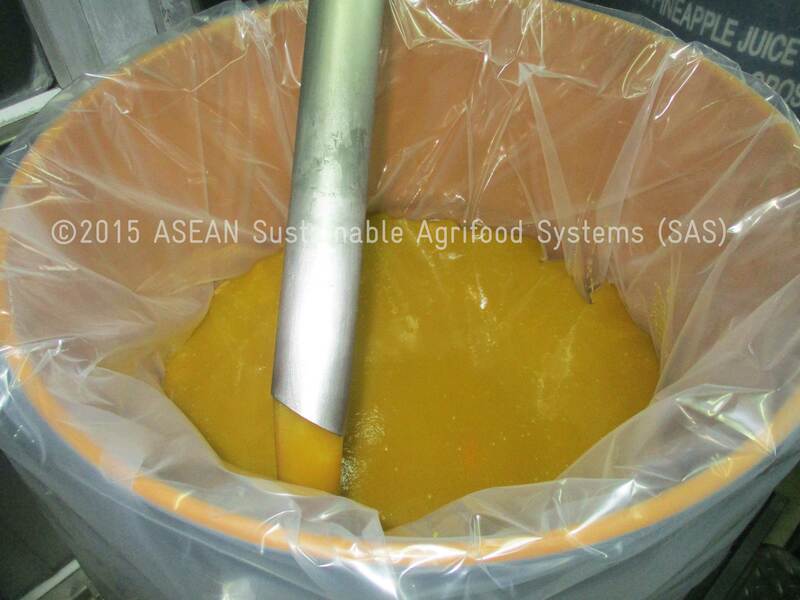 For declared “100% Guava juice”, approximately 40 per cent of juice content could be detected in the analysed sample. 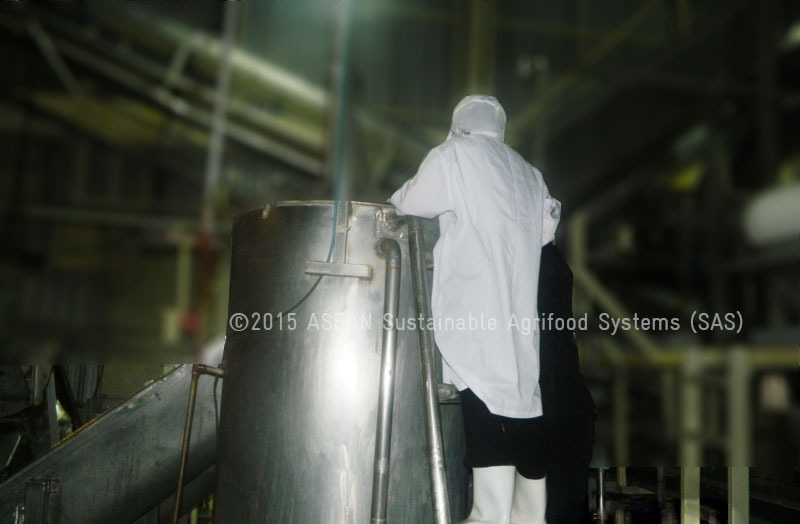 Meanwhile, for declared “100 % strawberry juice”, only 20 per cent juice content could be detected. 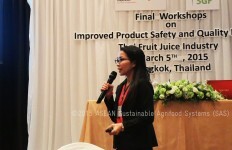 Two workshops were held for concerned parties in order to raise awareness on the fruit juice industry in Thailand and issues on safety and quality assurance in accordance with European fruit juice standards. 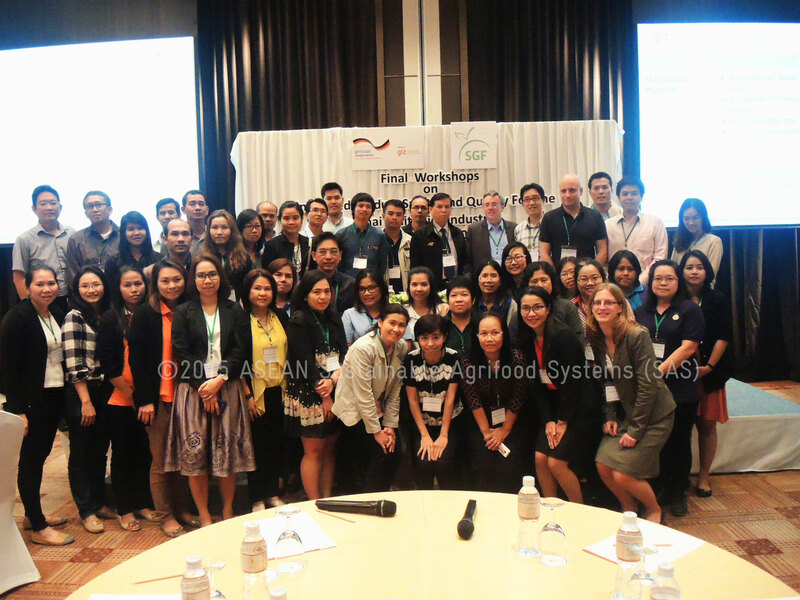 About 100 participants from laboratories, associations and private companies attended the workshops to learn about the pressing fruit juice industry situations. 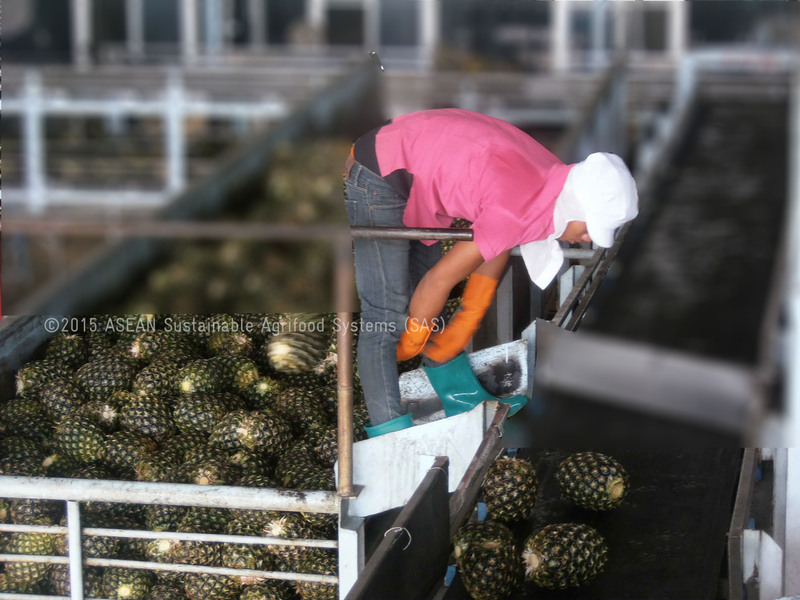 An online database on pesticides in Thailand developed under a frame of “Fruit Risk Assessment Programme for Pesticides” (FRAPP) is available for cooperation partners (associations and public authorities) and the pilot factories. 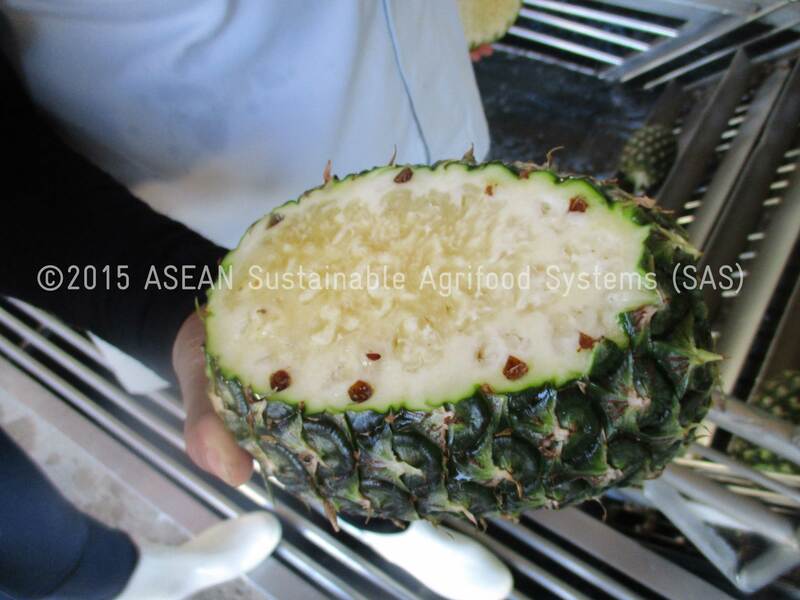 The data have been provided by fresh fruit suppliers and SGF manufacturers. 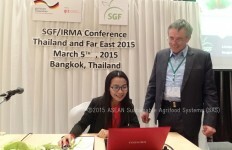 The database remains freely accessible at no cost for three years after the end of the project. 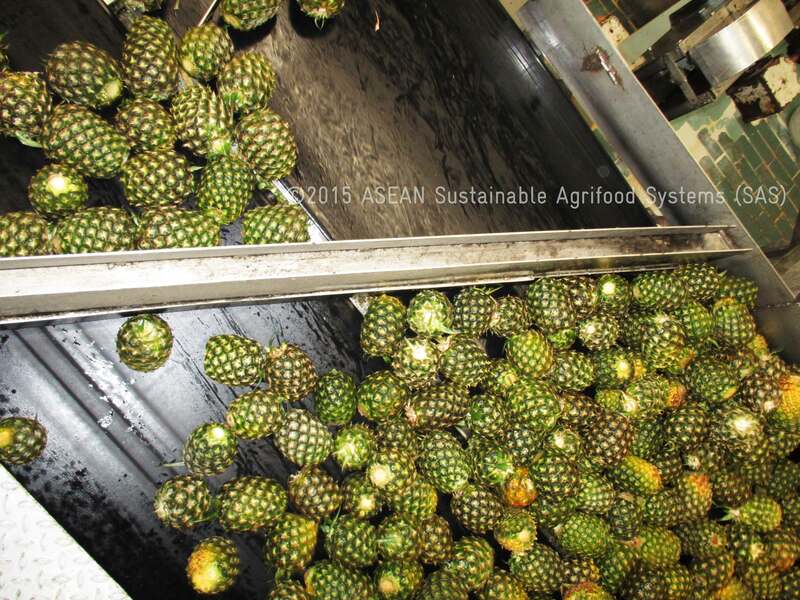 Pineapples in a truck are being transported to a fruit juice factory. 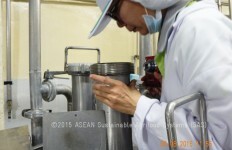 Factory staff checks a level of Nitrate. 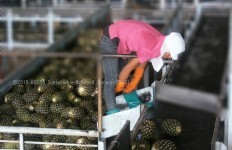 A factory worker prepares pineapple fruits for peeling. 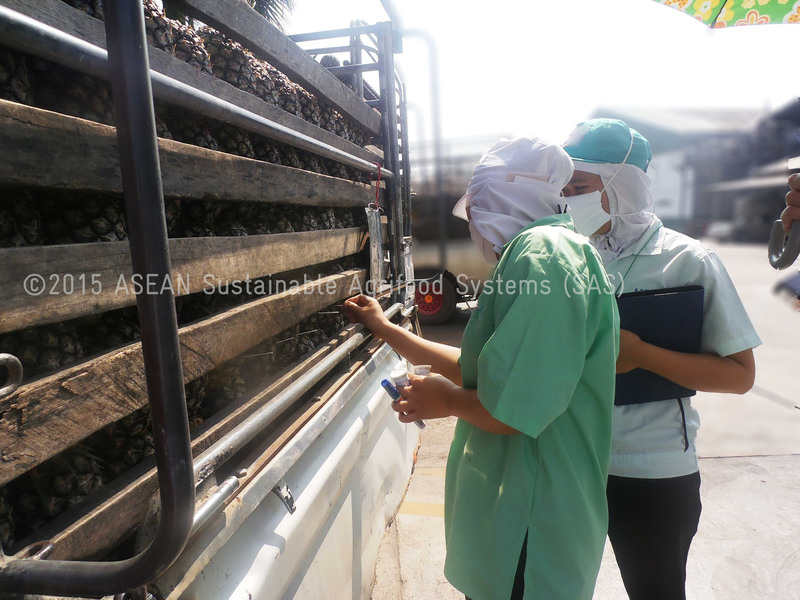 ASEAN SAS Food Safety Project Manager is having a training on the job to become a fruit juice auditor. 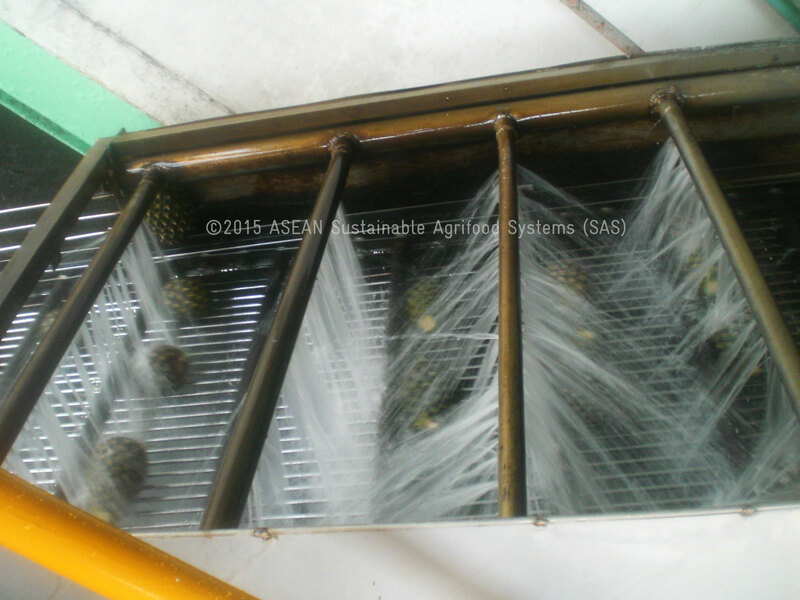 Pineapples are getting washed before pressing. 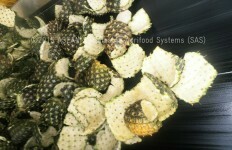 Pineapple fruits are being graded by sizes. 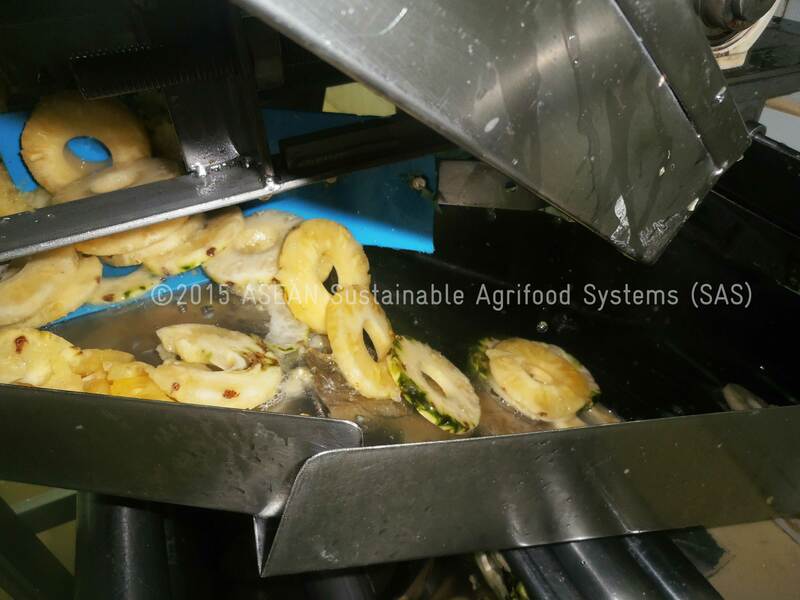 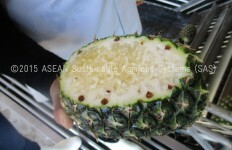 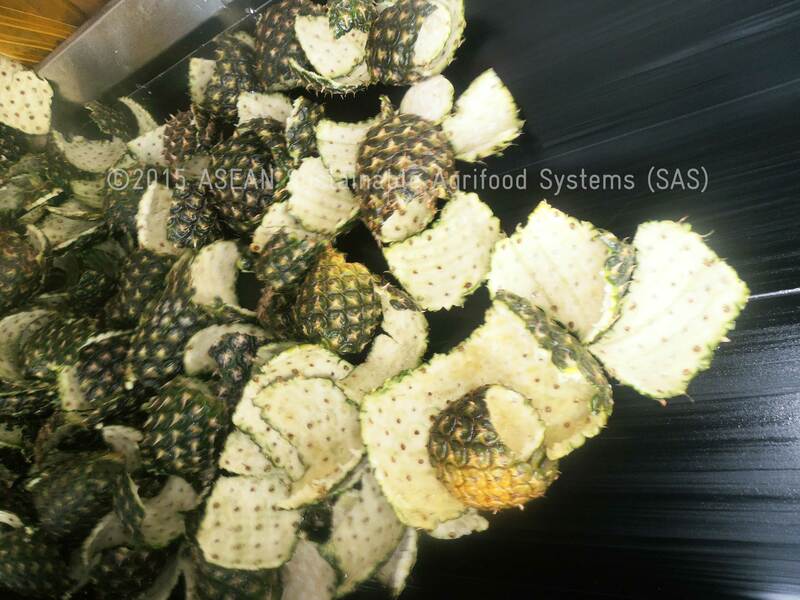 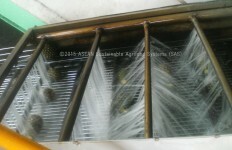 Pineapple skin can be used for the production of syrup or animal feed. 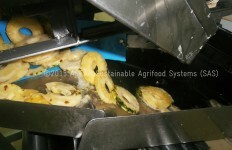 Green skin is being sorted out before juice pressing. 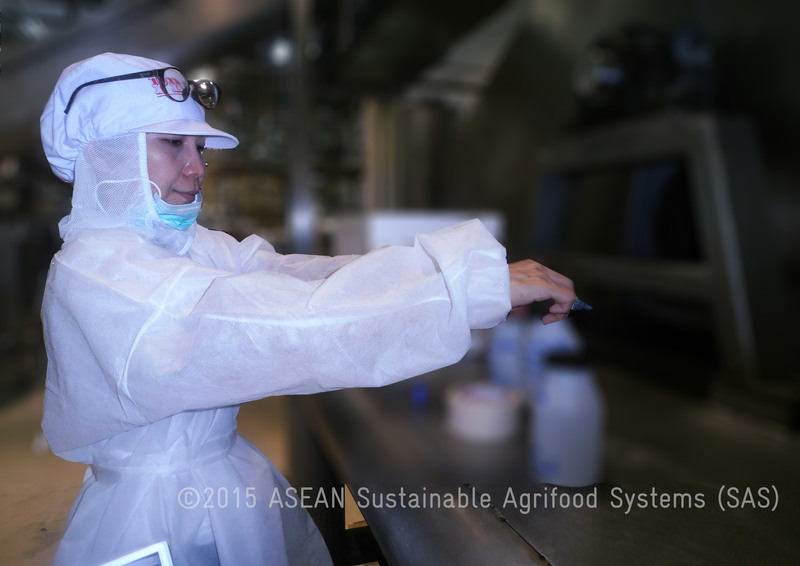 A sample is taken for authencity check at a lab. 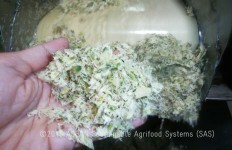 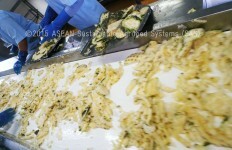 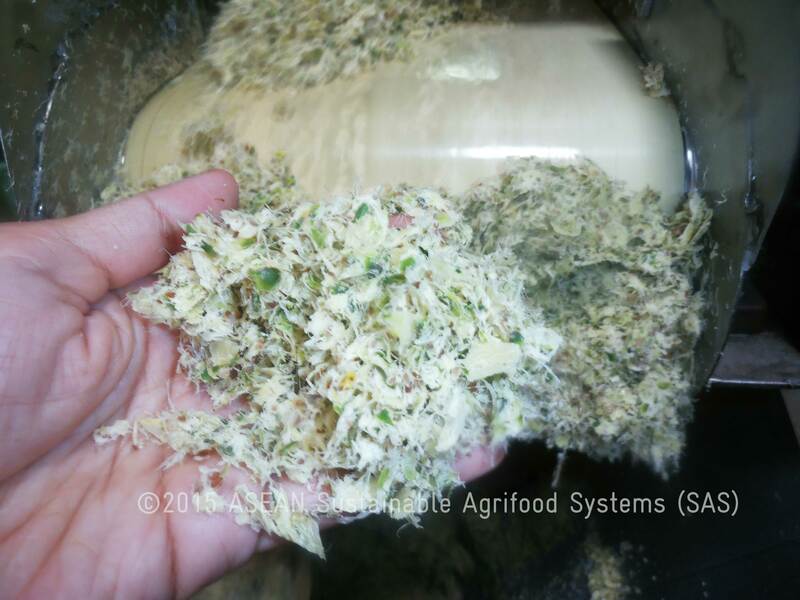 Leftovers from pressing can be used as animal feed. Fruit juice auditor gives advice to factory staffs on safety and quality standard. 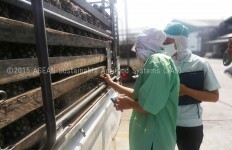 A quality assurance staff checks quality of juice. 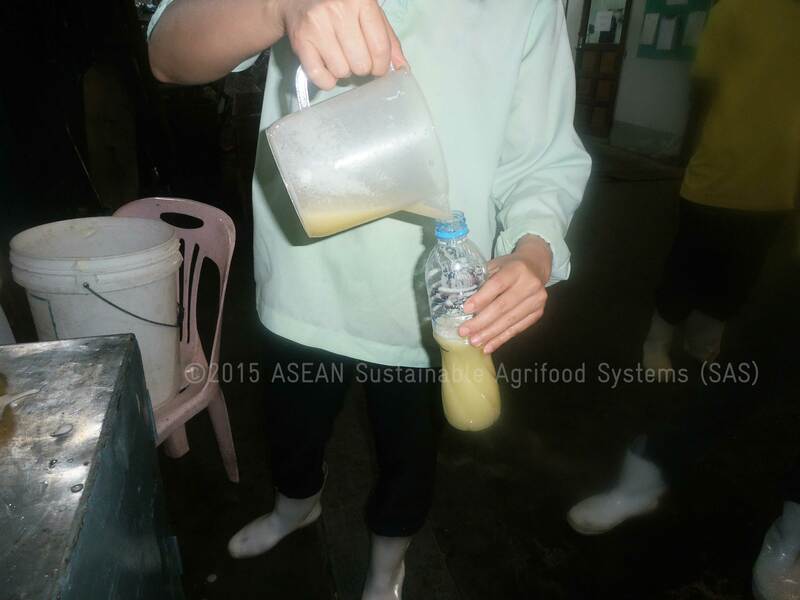 Fruit juice auditor takes samples for authenticy testing. 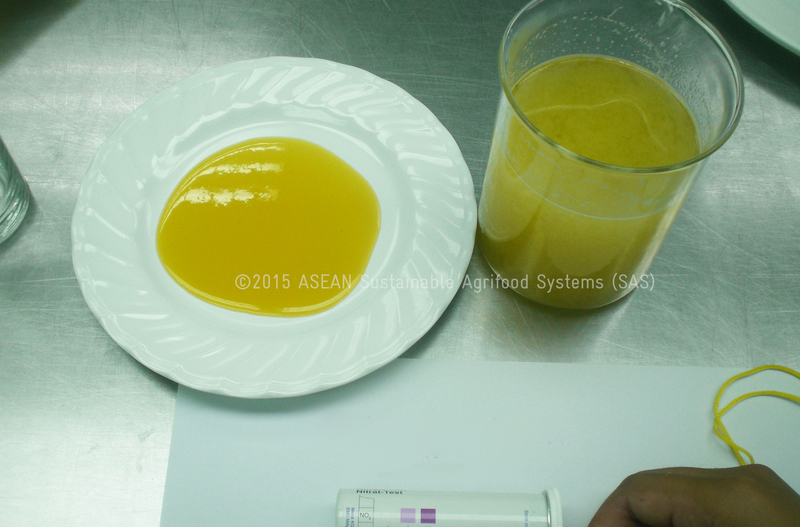 Fruit juice experts are having a sensory testing. 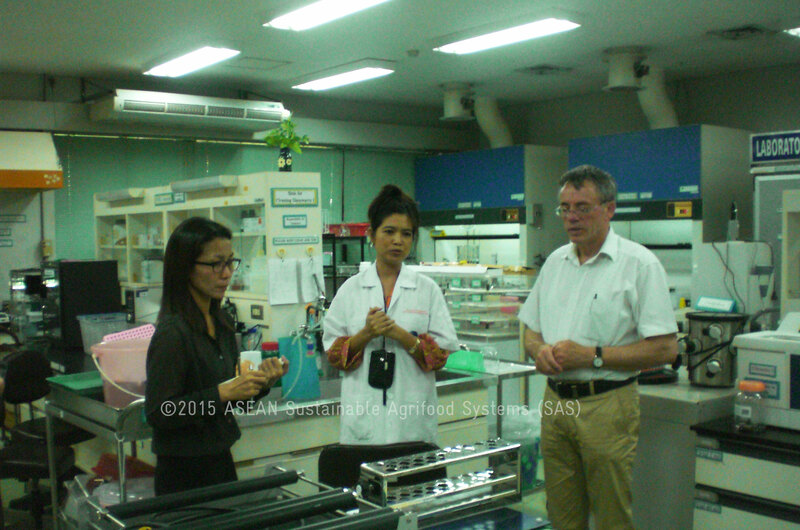 Fruit juice experts visits a laboratory. 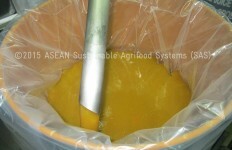 Fruit juice experts prepare for a conference. 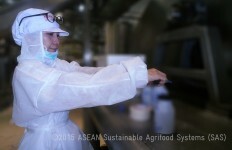 ASEAN SAS Food Safety Project Manager gives her presentation at a workshop. 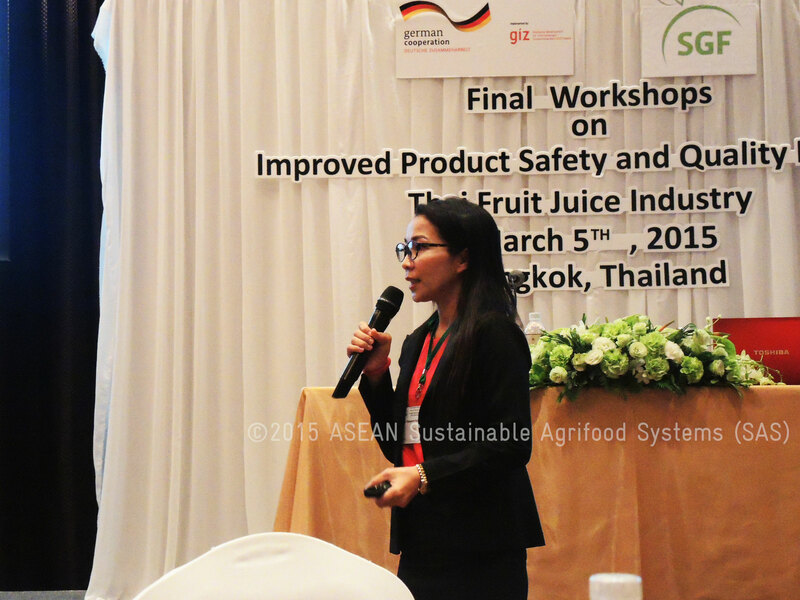 Improved product safety and quality for the Thai fruit juice industry. 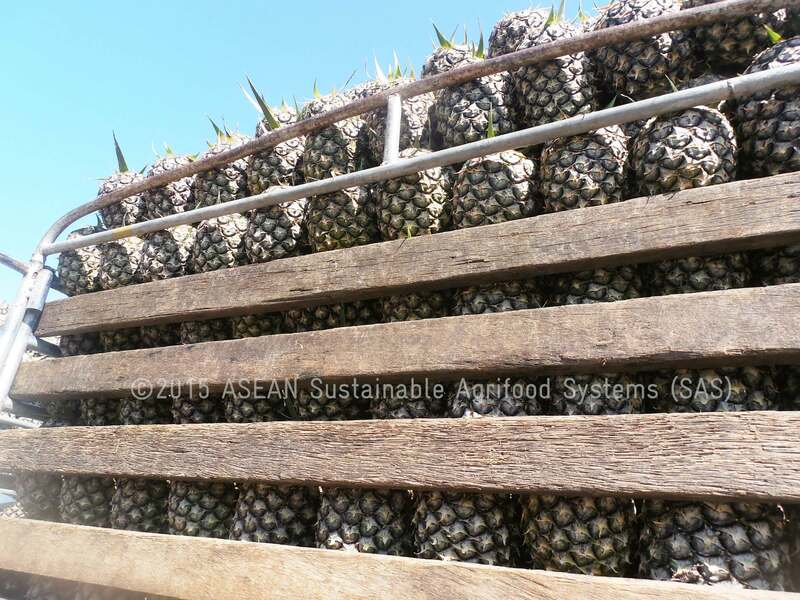 This 15-minute video with Thai narration and English subtitle captures the lives of pineapple farmers, fruit processing factory owner, and SGF’s fruit juice quality assurance auditor and their roles in maintaining the business sustainability and living security. 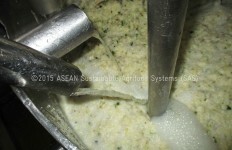 Please write us to get a free video copy! 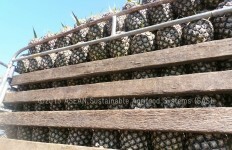 Today Thailand exports pineapple juice to most of the world and there are signs of problems in terms of quality. 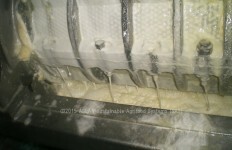 Watch this eight-minute video to see how the problems are solved.